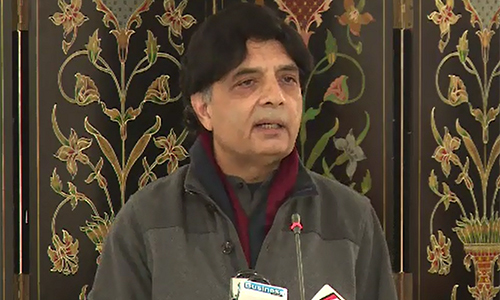 ISLAMABAD (92 News) – Interior Minister Chaudhry Nisar has on Friday said that the reforms for madrassas has been agreed and the new policy will soon be announced. Addressing the National Assembly, Chaudhry Nisar said that the FATA Reforms will be carried out in consultations with all the stakeholders, adding that the Exit Control List (ECL) was working according to the will of ministers and secretaries. Nisar said that only 17 Non-Governmental Organisations (NGOs) were registered in the last 40 years while 127 NGOs have applied for registration in their tenure. The minister said that 8,000 armed licenses have been declared bogus under a policy and unverified licenses till 31st of this month will be cancelled.